Given the record high temperatures expected today, the second Saturday of the month clean up will be cancelled for today. The next community wide clean up will be on Saturday, September 10th. There is an Excessive Heat Warning and Watch for our area from this morning through Sunday night. Temperatures are expected to be around 100 degrees with heat index values ranging from 110 to 115 degrees. Find ways to stay cool in air conditioned buildings, at spray parks, and by limiting outdoor strenuous activity. You can find information on heat emergency information on the DC website. 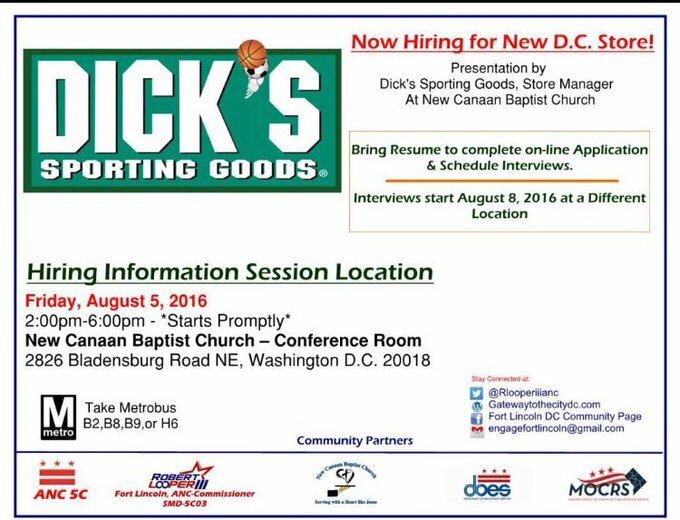 If you know of a senior or other person that needs transportation to a cooling center, please call 1-800-535-7252. 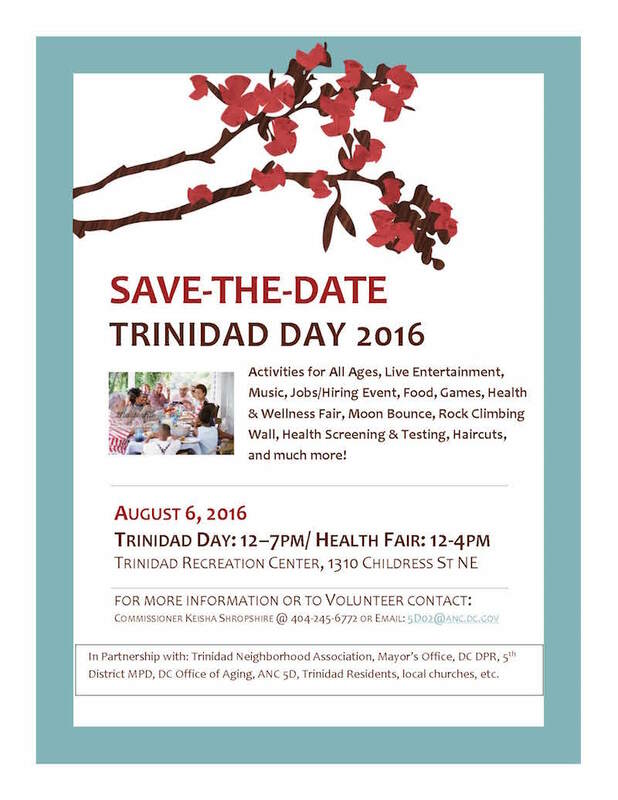 Trinidad Day will be tomorrow at the Trinidad Recreation Center (1310 Childress St NE) from 12:00 pm to 7:00 pm. Join in on free activities and entertainment for all ages. There will be face painting, moon bounce, live music, a health and wellness fair, games, food, and much more!